When researchers at UCLA compared the brains of meditators to non-meditators they found that meditator’s brains were almost a decade younger by the time people reach their mid 50s. We’ve long known that normal aging is accompanied by a decrease in brain size. This decrease in brain size is due to age-related loss of connective tissue in the brain, often referred to as brain shrinkage, and affects memory, emotional regulation, and executive function. New research from the UCLA School of Medicine’s Department of Neurology shows that long-term meditators have younger brains, with higher concentrations of tissue in the brain regions most depleted by aging. In other words, the study found that meditation practice may help to minimize brain age and protect against age-related decline. Using brain imaging data from a previous investigation of the impact of meditation on cortical thickness, this new study examined whether the estimated brain composition of meditators aged 50 and beyond differed from that of non-meditators. To answer this question, researchers compared brain images of a matched sample of 50 meditators and 50 non-meditating controls ranging in age from 24 to 77 years. Both groups included 22 women and 28 men, and had a mean age of 51.4 years. Meditators had close to 20 years of meditation experience on average (range 4 to 46 years). Estimates of brain age were made using the BrainAGE index, a measure that translates multidimensional brain aging patterns into a single score that represents the difference between an individual’s estimated brain age and chronological age. Higher negative scores suggest that an individual’s brain is younger than their chronological age (e.g., a value of -5 for a 55 year-old suggests a brain aging pattern of a 50 year-old), and vice versa. Comparisons of the BrainAGE index estimates from the two groups revealed significant differences between meditators and non-meditators. On average, the brains of long-term meditators were 7.5 years younger at age 50 than the brains of non-meditators, and an additional 1 month and 22 days younger for every year after 50. These findings suggest that meditation may slow the aging process of the brain. On average, the brains of long-term meditators were 7.5 years younger at age 50 than the brains of non-meditators, and an additional 1 month and 22 days younger for every year after 50. It is important to note that this study relied on estimates of brain change based on age and not actual values. 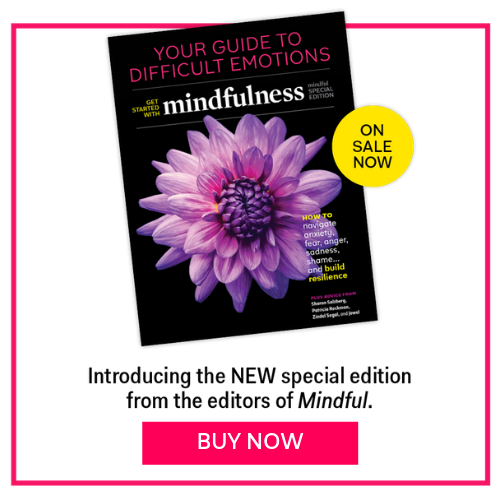 Although these findings are consistent with prior research that detected significant differences in brain structure among meditators compared to non-meditating controls, results of the present study are inferential, and do not answer questions regarding how many years of meditation are necessary to attain this effect, or whether structural brain change directly corresponds to cognitive, behavioral, or psychosocial functioning. There are several potential explanations for why the brains of regular meditators differ from non-meditators. First, the concentration and focused attention required in most forms of meditation may stimulate growth in neural structures and promote increased connectivity and efficiency within neural networks. A second possibility is that meditation buffers the brain and nervous system against the deleterious effects of chronic stress, which may reduce pro-inflammatory response, stimulate telomerase activity, and inhibit age-related brain change. Although more research is needed to better understand why and how meditation may protect the brain from age-related decline, findings from this study contribute to a growing evidence base supporting the potential of meditation and other mindfulness-based practices for reducing age-related cognitive decline and promoting brain health and resilience. B Grace Bullock, PhD, is a psychologist, research scientist, speaker, educator, and author of Mindful Relationships: Seven Skills for Success - Integrating the Science of Mind, Body and Brain (Handspring Publishing Inc, 2016). She is Founding Director of the International Science & Education Alliance (ISAEA), an organization devoted to innovative research, program evaluation, assessment design, strategic planning and capacity building to support effective leadership, decision-making and social change. She is Contributing Editor for Science & Research at YogaU Online, former Senior Research Scientist at the Mind & Life Institute, and former Editor-in-Chief of the International Journal of Yoga Therapy. For more information see www.bgracebullock.com.